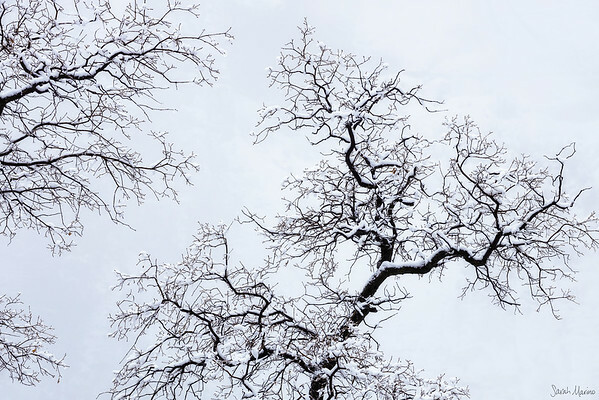 A collection of Sarah Marino's recent photographs, including grand landscapes, intimate landscapes, small scenes, portraits of plants, and abstract renditions of natural subjects. Geothermal steam and a winter storm combine to create soft, dreamy light around this grove of snow-covered trees in Yellowstone National Park. 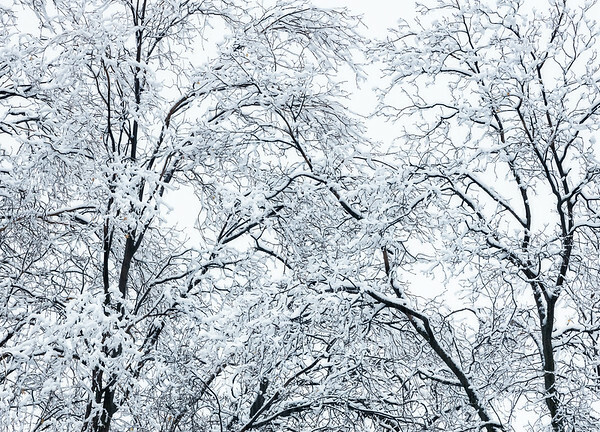 Heavy snow and frost adorns a tree, giving it a statue-like quality. Yellowstone National Park. A brief moment of sun shines through heavy storm clouds to allow soft light to fall on Yellowstone National Park's surreal landscape. Snow and swirling geothermal steam cleared for a moment to catch a view of these heavy, snow-covered trees in Yellowstone National Park. Heavy, frost-covered snow creates distinctive patterns on conifer trees in Yellowstone National Park. Very heavy snow and frost drapes over trees in Yellowstone National Park in winter. Howling winds stopped for long enough to get a brief glimpse of these snow covered trees in winter in Yellowstone National Park. Thick geothermal steam allows just a glimpse of these trees in Yellowstone National Park. Heavy snow and geothermal steam make for a quiet winter moment in Yellowstone National Park. Geothermal steam travels through a grove of trees in Yellowstone National Park in winter. Pillows of soft snow rest on young lodgepole pines in Yellowstone National Park. Trees covered in heavy winter snow in Yellowstone National Park. Constant blowing winds create patterns in a field of snow in Yellowstone National Park. Intricate patterns like the edge of a geyser in Yellowstone National Park. Colorful formations at the edge of a geothermal feature in Yellowstone National Park. Remnants of previous geyser eruptions form tiny terraces over time in Yellowstone National Park. 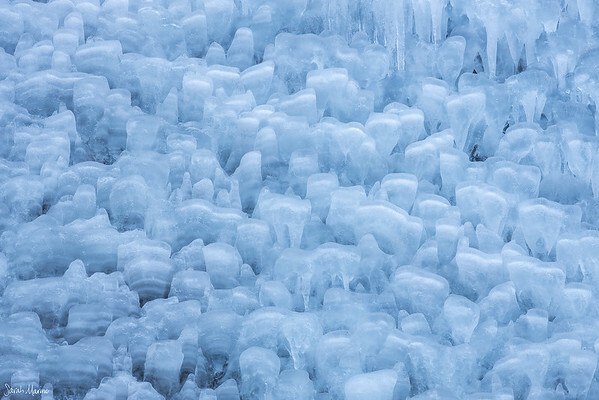 Patterns on the edge of a geyser in Yellowstone National Park. Delicate travertine terraces in Yellowstone National Park. A community of colorful thermophiles living on the edge of a hot spring in Yellowstone National Park. 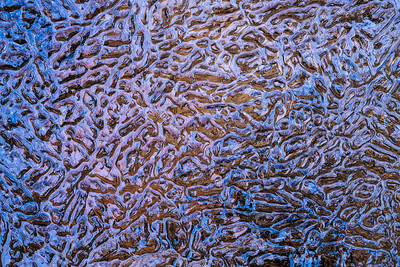 Warm runoff from a hot spring runs over colorful bacterial mats in Yellowstone National Park. Green and yellow bacterial mats in Yellowstone National Park. Colorful terraces below a geothermal feature in Yellowstone National Park. Young and dense lodgepole pines fill in an area that was burned in the extensive Yellowstone fires of 1988. Massive ice formations that look like teeth, found hanging off a canyon wall in Zion National Park. 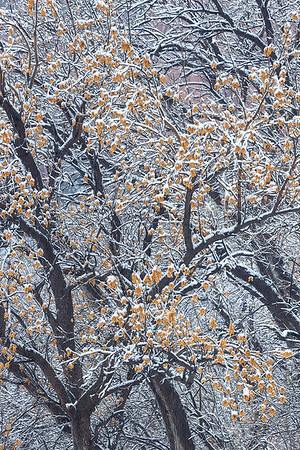 Angular branches with a light dusting of snow in Zion National Park. Snow coats bare trees in Zion National Park. A light dusting of snow covers a tree in Zion National Park. 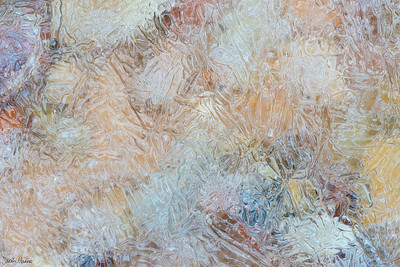 Colorful rocks below textured ice in Zion National Park. The colors of blue sky and red sandstone reflect on textured ice in Zion National Park. 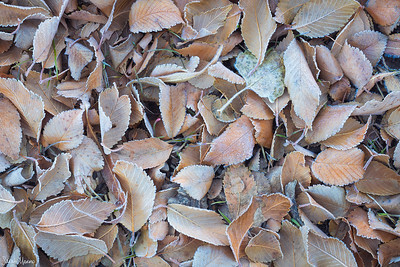 A light coat of frost covers the edges of fallen leaves in Zion National Park.